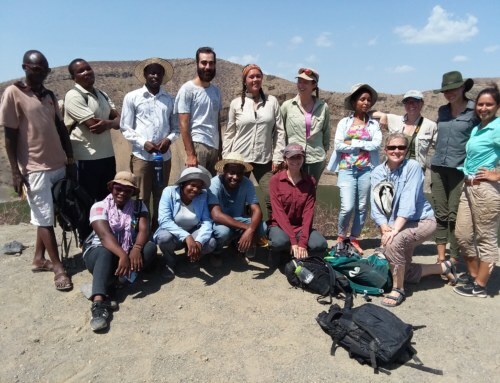 Jambo and welcome to the Spring 2019 TBI Origins Field School! My name is Lucia Nadal and I am the Resident Academic Director for this program. Together with our TA, Petra Peretin, I will be accompanying the students throughout the next ten weeks, making sure that they have an unforgettable learning experience. 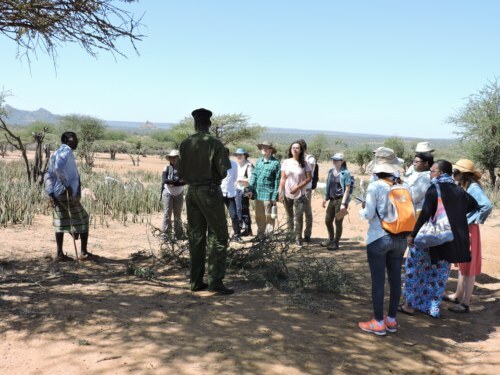 The students arrived safely in Nairobi and after a quick stop at the Wildebeest Eco Camp we were on our way to the Mpala Research Centre in Central Kenya. 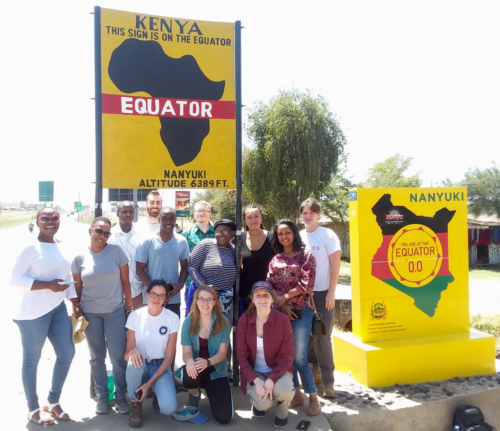 Our ride here took us through the beautiful Kenyan countryside and we even got to stop at the Equator to witness first-hand the effects of the Coriolis effect! Upon arrival at Mpala we settled into the River Camp, a tented camp that gives us a unique opportunity to observe wildlife on the opposite side of the river bank. 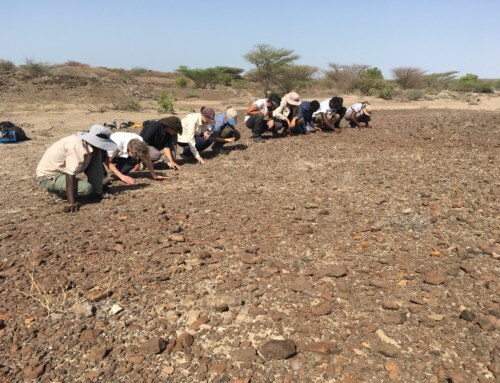 This will be our home and classroom for the first part of the ‘Ecology of the Turkana Basin’ course, before heading to the TBI Ileret facilities on the East side of Lake Turkana next week. 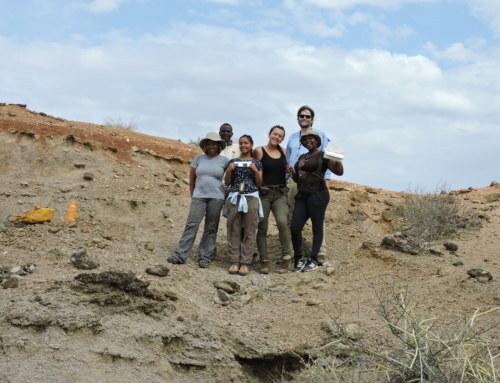 Evolutionary biologist and the director of Mpala, Dr. Dino Martins, will be the professor of this first course which is a crucial starting point for the field school. 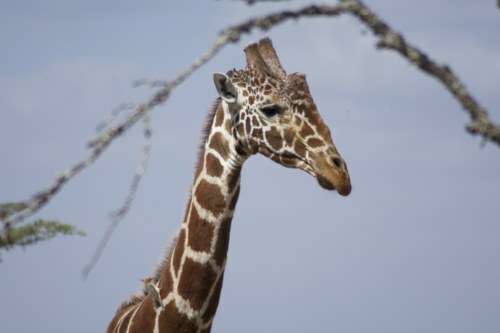 With more than 48,000 acres of land, Mpala presents a wide range of environments and serves as a “living laboratory” for researchers from around the world. 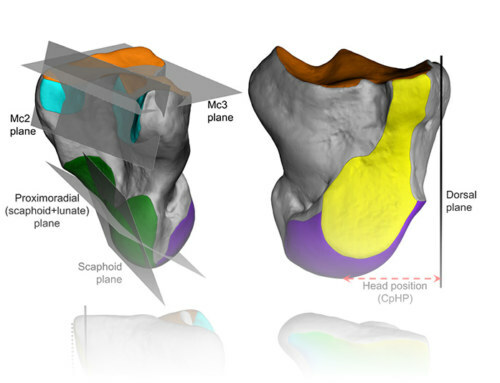 For the TBI Field School it will be the setting of an invaluable learning experience and the basis of understanding the ancient environments in which the evolution of our own lineage took place. In the last days the students have learned a lot about large herbivore ecology and how human-wildlife interactions shape the environment. 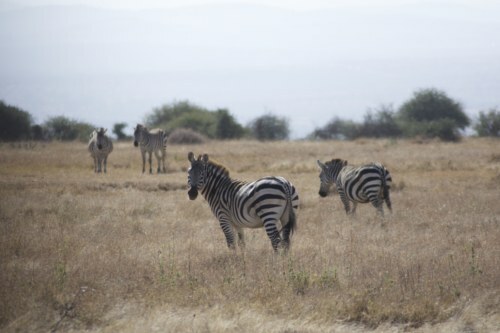 On our daily game drives we’ve gotten to see many animals, including the endangered Grévy Zebra which we were all very excited to see. Named after French President Jules Grévy in the 1880s, this species suffered a severe population decline in the past five decades. 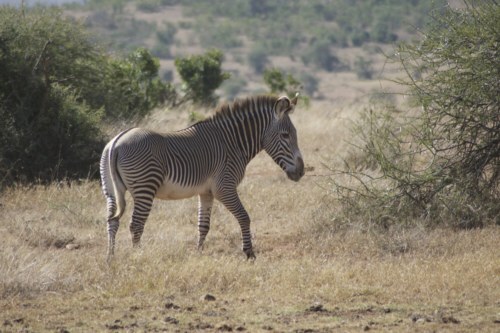 Livestock has played a big role by contributing to habitat loss, a common problem and the focus point of some of the key conservation efforts carried out at Mpala. 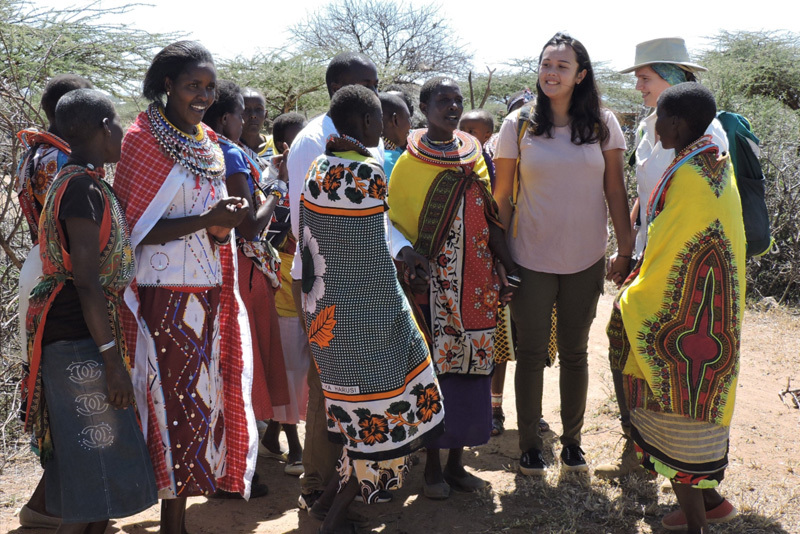 With this in mind, on Saturday we visited the local Maasai community of ‘Il Motiok’, where the students got to learn about pastoralism practices. 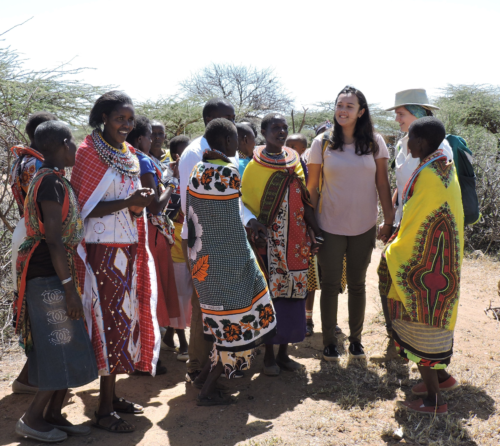 Later that day we met with the Ranch Manager of Mpala, David Hewett, who explained the challenges of rearing livestock in this environment and how their approach has changed over time. While there is still much work to be done, the Centre’s work represents an inspiring example of sustainable practices and highlights the value of conservation. During the next days we will be going out into the field with the resident researchers of the Centre and learning more about their projects. This will serve as the background for the student’s own research proposals which they will have to present at the end of the module. 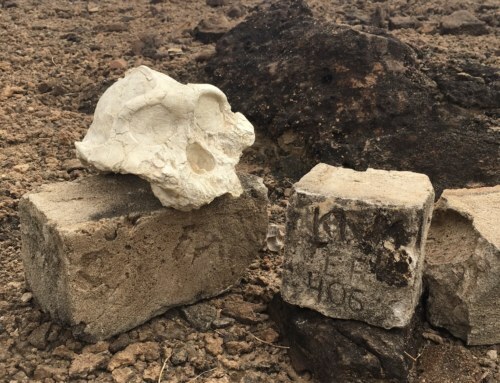 Keep posted for more blogs on the field school progress and activities coming soon. 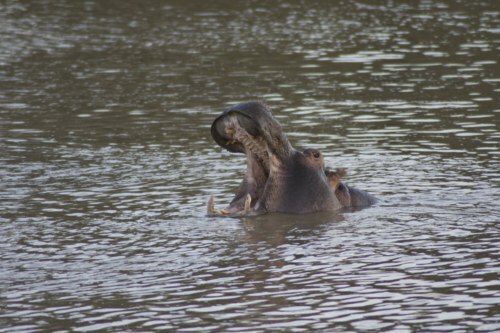 In the meantime head to www.mpalalive.org to see for yourself some of the amazing animals that we get to call neighbors for the next few days!